CHARLES PAYTON HARTSHORN, deceased, who was one of the foremost architects of Providence, Rhode Island, during the closing decades of the nineteenth century, was born in Norfolk, Va., on July 31, 1833, son of Samuel W. and Amelia (Dana) Hartshorn, and the descendant of a family established in Massachusetts, in the early decades of the Colonial period. Charles Payton Hartshorn married, June 5, 1865, Dr. Woodbury officiating, Helen Almira Snow, who was born May 14, 1833, and died March 11, 1897, daughter of Amos William and Almira Frances (Dorr) Snow, of Providence. They were the parents of one daughter, Stella Josephine, born Jan. 3, 1869, who resides at No. 189 Wayland avenue, Providence. Mr. Hartshorn died at Providence, Aug. 13, 1880. WINSLOW UPTON -- The Upton family ancestry in England is traced to the time of William the Conqueror, and the ancient manuscript of the De Upton family of Cornwall, of which the American Uptons are an authentic branch, is still in existence, though partly illegible, at the ancient seat of the family in Westmoreland. The English branch of the family traces an unbroken line of descent from John Uppeton de Uppeton, of Cornwall. The family in America dates from the second half of the seventeenth century, and has been prominent in New England life and affairs since its founding, in 1652. One of its most notable members was the late Professor Winslow Upton, one of the foremost astronomers of the United States whose original research in the fields of astronomy and meteorology added much to the volume of knowledge in these sciences. The coat-of-arms of the Upton family is as follows: Argent on a cross sable five bezants. (I) John Upton, founder of the family in America came to New England about 1652. There is a tradition that he came from Scotland, and may have been of the Scotch prisoners taken by Cromwell at Dunbarton, September 3, 1650, or at Worcester, in 1651. The last-named battle was fought near the town of Upton, England, the seat of the ancient family. Cromwell took seventeen thousand Englishmen and Scotchmen prisoners in these two battles, and many of them were sent to the American Colonies. John Upton was accompanied by his wife, who tradition states was Eleanor Stuart, a Scotswoman. He settled in Salem Village, now Danvers, Massachusetts, where he seems to have refused to join the Puritan church, which would indicate that he was a Presbyterian in religious views. He did not take the freeman oath until April 18, 1691, when it had been modified. His first appearance in the records is of that date, December 26, 1658, when he bought land of Henry Bullock, in the southwest part of Salem Village. This estate, a large portion of which remained in the family of John Upton until 1849, was near the line of the present town of Danvers, half a mile from Lynnfield, and is now within the limits of Peabody. John Upton became a man of considerable wealth and large estate. He died July 11, 1699, aged seventy-seven years, and his will, dated Nov. 16, 1697, was proved July 31, 1699. He used a fleur-de-lis for a seal. From John Upton, the founder, the line descends through five generations to Professor Upton. (II) William Upton, son of John and Eleanor (Stuart) Upton, was born in 1663. (III) Caleb Upton, eighth son of William Upton, was born in 1722. (IV) Robert Upton, fourth son of Caleb Upton, was born in 1758. (V) Robert (2) Upton, son of Robert (1) Upton, was born in 1788. He married Lucy Doyle, of Salem, Mass. (VI) James Upton, son of Robert (2) and Lucy (Doyle) Upton, was born in Salem, Mass., March 31, 1813. He was a partner in the firm of Upton & Nichols, of Boston, and a prominent business man of that city from 1865 to 1878. Prior to 1865 he had engaged in foreign trade with South and Central America, but withdrew from this on the outbreak of the Rebellion. A man of wide culture and an able linguist and conversationalist, he was well known in literary circles in Boston. He was a member of the Essex Institute, and served as vice-president of its department of horticulture for many years. For nearly forty-six years Mr. Upton was a member of the First Baptist Church of Boston, and a generous donor toward its support. James Upton married (first), Oct. 27, 1836, Emily Collins Johnson, who died Nov. 12, 1843. He married (second), Oct. 9, 1845, Sarah Sophia Ropes, daughter of James and Lucy Ropes, who died Feb. 12, 1865. Mr. Upton died in Salem, Mass, March 30, 1879, at the close of his sixty-sixth year. 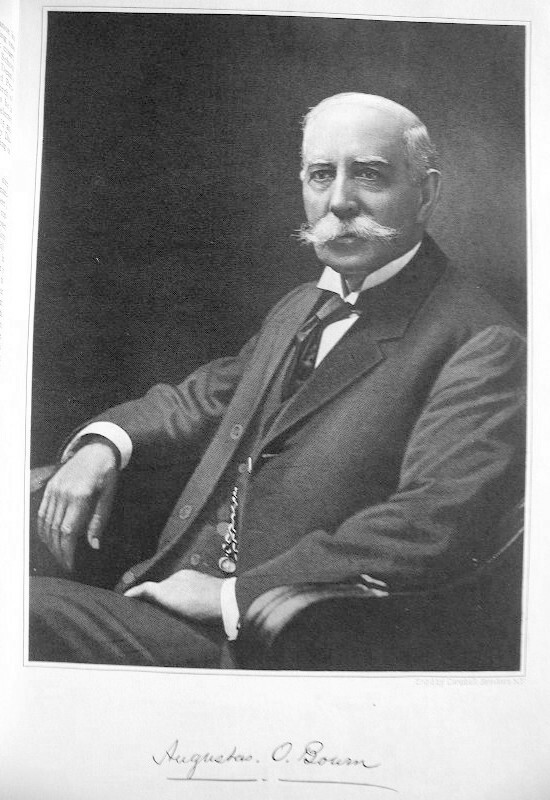 (VII) Professor Winslow Upton, son of James and Sarah Sophia (Ropes) Upton, was born in Salem, Mass, Oct. 12, 1853. He was prepared for college in the Salem High School, and matriculated at Brown University in 1871. He was graduated at Brown with honors in 1875, and immediately thereafter entered the University of Cincinnati, where two years later he received the degree of Master of Arts. In 1877 he was appointed assistant in the astronomical observatory at Harvard, where he served until 1879; in that latter year he became assistant engineer in the United States Lake Survey at Detroit, where he remained until 1880. In 1881 he was appointed assistant professor and computer in the United States Signal Office. In 1884 he came to Brown University as Professor of Astronomy, which chair he held until his death. When the Ladd Observatory, gift of the late Governor H. W. Ladd, was built in 1891, he became its director, having supervised its building and equipment. At the time of its dedication the Ladd Observatory was considered one of the finest observatories for teaching purposes in the country. Its facilities have been used chiefly to aid in the instruction of the university, in the maintenance of a local time service, and in regular meterorological observations in co-operation with the United States Weather Bureau. During the early years of his connection with Brown University, Professor Upton taught classes in mathematics, meteorology and logic. Professor Upton was connected with numerous important scientific parties. He was a member of the United States astronomical expeditions to observe the total eclipse at Denver, Colorado, in 1878, and at Caroline Island, in the Pacific in 1883. He also observed the solar eclipse of 1887 in Russia, that of 1889 in California, of 1900 in Fentress, Virginia, and during a sabbatical year, 1896-97, he was attached to the southern station of the observatory of Harvard College, at Arequipa, Peru. The year 1904-05 he spent in California, where for a time he was connected with the Solar Observatory of the Carnegie Institution, on Mount Wilson, near Pasadena. A man of brilliant mentality, a facile and forceful writer, he made numerous contributions to astronomical literature. His work, however, was greatly interrupted and curtailed by the burden of his administrative duties. He was a member of many scientific societies, among them the American Association for the Advancement of Science, of which society he was a fellow, the American Philosophical Society, and the Deutche Meteorologische Gesellschaft. Professor Upton was secretary of the faculty of Brown University from 1884 until 1891, and was Dean of the University from 1900 to 1901. In 1906 his alma mater conferred on him the degree of Doctor of Science. Professor Upton was a member of the committee on organization to increase the university endowment, 1910-11, and for more than twenty years served on important administrative committees. Professor Upton was the author of numerous astronomical and meteorological papers in the publications of the Cincinnati, Cambridge and Washington Observatories, and the United States Signal Service; also of Photometric observations, 1879; the Solar Eclipses of 1878, 1879; report on observations made on the expedition to Caroline Island to observe the total solar eclipse of May 6, 1883, 1884; an investigation of cyclonic phenomena in New England, 1887; meteorological observations during the solar eclipses, August 19, 1887, 1888; the storm of March 11, 1888; Star Atlas, 1897; he was the author of numerous other papers, and was a constant contributor of short articles to the 'Astronomische Nachrichten', to 'Zeitschrift fur Meteorologie', 'Siderial Messenger', 'Popular Astronomy, Science, American Meteorological Journal', 'Astronomical Journal', and other scientific publications. For over twenty years he wrote articles and letters on astronomical topics for the 'Providence Journal', and was editor of the astronomical part of the 'Providence Journal Almanac', from 1894 to 1910. He was a member of the Phi Beta Kappa and Sigma Xi societies, and of the Delta Upsilon fraternity. Unusual clarity and brilliancy of thought characterized all the writings and public utterances of Professor Upton. He possessed in a rare degree the scientific and analytic mind, but at the same time had the power to establish firmly the correlation between his beloved science and human affairs. He was essentially the student, and continued his researches throughout his life. As a teacher he was not only respected but loved. He was a deep lover of good music and was a musician of fine ability, director of a glee club while in college and church organist. During the latter years of his life he was director of music in the Church of the Redeemer in Providence. For many years Professor Upton was a well-known figure in the affairs of the Episcopal church in Rhode Island. At the time of his death he was senior warden of the Church of the Redeemer in Providence, a member of the standing committee of the diocese, of the cathedral corporation, and treasurer of the board of managers of diocesan missions. Professor Upton married, Feb. 8, 1882, Cornelia Augusta Babcock, of Lebanon Springs, N. Y. They were the parents of two daughters, Eleanor Stuart and Margaret Frances Upton. Mrs. Upton survives her husband and resides at No. 30 Forest street, Providence. PETER WILLIAM McKIERNAN -- A young lawyer, junior member of the law firm of Quinn & McKiernan, of Providence, Rhode Island, Mr. McKiernan is fairly started upon the profession he has chosen and is already reaping the reward of a profession which most generously repays honest effort and applied skill. He is a son of John McKiernan, who died in 1903, and his wife, Ellen (Sammon) McKiernan, who survived her husband until 1915. Mr. and Mrs. McKiernan were also the parents of two daughters, Catherine Helena and Margaret, and another son, John Francis. They are all residing in Providence. Peter W. McKiernan was born in Providence, R. I., March 1, 1891. He finished the courses of Point Street Grammar School and entered Classical High School, but did not finish the course, instead entered Dean's Academy whence he was graduated in 1910. He studied in Boston University Law School, whence he was graduated L.L. B., class of 1913, and the same year was admitted to the Rhode Island bar, he choosing Providence as a location and becoming the junior member of the law firm of Quinn & McKiernan. He was barely twenty-two years of age when he made his first appearance in court, his first being in the Superior Court, he being one of the youngest men to appear as counsel in that court. He is a member of the Boston University Law School Alumni Association, of Rhode Island, and of Dean's Academy Alumni Association, the Benevolent and Protective Order of Elks, of Providence, and the Church of SS. Peter and Paul, Roman Catholic. In politics he is a Democrat, and at the age of twenty-three was elected to the General Assembly; during the years of 1915 and 1916 he represented the Twenty-fourth Assembly District of Providence in the State Legislature, serving on committees on labor, legislation and education. AUGUSTUS OSBORN BOURN -- For over sixty years Mr. Bourn has been connected with rubber manufacturing, and for nearly that entire period has been a partner or an official of the firm or corporation commanding his service. This period, 1859 - 1918, also covers most valuable service to his State as soldier, legislator and governor, and to the Nation as soldier and diplomat. His years, eighty-three, have been spent in his native Rhode Island, in Providence and in the town of Bristol, with the exception of the years spent in the diplomatic service of his country. The last forty years have been spent in Bristol, where for twenty-two years, 1865-87, he was treasurer and active manager of the National Rubber Company, that enterprise then being the principal industry of the town. His life has been one of usefulness, and although now walking amid lengthening shadows, he retains a lively interest in the business he has always followed, and is the capable treasurer and manager of the Bourn Rubber Company, of Providence. A retrospective view of his life as a business man, State senator, soldier, governor and diplomat, can give him naught but satisfaction, and it is cause for an additional thrill of pleasure to know that no man in the Commonwealth stands higher in the estimation of his fellowmen. He will be remembered as the author of the 'Bourn Amendment' to the Rhode Island Constitution, which gave to naturalized citizens equal franchise rights with citizens of native birth. As governor of Rhode Island for two terms, 1883-85, he ably administered the affairs of State and gave to public duty the same conscientious attention as to his private affairs. While State Senator his powers of oratory were invoked to deliver memorial addresses upon President Garfield, General Burnside, John F. Tobey, Henry B. Anthony, and others. He also delivered an eloquent address upon the life and services of President Grant, before a large gathering at Bristol, Rhode Island. This ability to eloquently voice his thoughts before great audiences has been one of the gifts liberally bestowed upon him and his State papers rank with the best literary work of Rhode Island executives. As a diplomat, his four years in Italy as consul general added to his fame, and commercial relations between the United States and Italy were wonderfully strengthened through his business-like administration of the consul general's office. He bears the military title, colonel, through his connection with the Rhode Island militia, in which he served from 1861 to 1885, advancing through every rank from private to lieutenant-colonel of cavalry. Governor Bourn is a son of George Osborn Bourn, who as early as 1840 became interested in the making over of India rubber shoes, as they were imported from Brazil, making them over to more nearly conform to the shape of the foot. The shoes, as then made, were shapeless affairs, the first attempt at manufacture being by simply soaking the rubber shoes in hot water, then stretching them on lasts and allowing them to dry. In this way they were made to retain something of the shape of the last. A strip of fur was then sewed around the top, and a coat of sponge varnish applied to the rubber. His first partner was David C. Winslow, the firm, Bourn & Winslow, continuing from 1840 until 1842. Mr. Bourn was then alone until 1847, when Colonel William W. Brown, of Providence, became his partner. Bourn & Brown continued until 1851, when the firm became Bourn, Brown & Chaffee, and so operated until 1859, when the senior partner died. This experience of nineteen years, 1840-59, ranks George O. Bourn with the pioneer rubber manufacturers of the country, and when he laid down the burden his mantle descended upon his son, Augustus Osborn Bourn. Edwin M. Chaffee, who was admitted in 1851, was the friend and associate of Charles Goodyear, the inventor and patentee of the art of vulcanizing rubber, a discovery which made it possible to manufacture rubber for any desired purpose. Mr. Chaffee is credited with aiding Mr. Goodyear in the experiments which led to his discovery, and in 1836 he invented machinery for breaking, reducing and working rubber into plastic condition, which is still of standard type and unimproved save to give the machinery greater speed and strength. Governor Bourn is a descendant of Jared Bourn, who was admitted to the church in Boston, April 22, 1634, later moved to Rhode Island, locating at Portsmouth, where he was representative to the Colonial Legislature, 1654-55. He finally moved to Swansea, Massachusetts, where he occupied the blockhouse at Mattapoisett, now Gardiner's Neck, that being a place of refuge from the Indians at the beginning of King Philip's War. Swansea and that portion which, about 1780, was incorporated as a separate town by the name of Somerset, was the family seat for five generations. Jared; his son, Jared (2); his son, Francis; his son, Stephen; his son, Stephen (2). The last named was the father of George Osborn Bourn, father of Governor Bourn. George Osborn Bourn was born July 4, 1809, and died in Providence in 1859. He married in Providence, Dec. 1, 1833, Huldah Batty Eddy, daughter of Ezra and Sally (Peckham) Eddy, and granddaughter of William Eddy of Providence, a revolutionary soldier and pensioner. The family collateral lines embrace many distinguished families of New England, dating from the earliest days of the English settlement. Augustus Osborn Bourn was born in Providence, R. I., Oct. 1, 1834, his birthplace the first two-story wooden house on the south side of Pawtuxet street (now Broad street). His first teacher was Mrs. Mary Arnold, who with her two daughters, Margaret and Sarah, both school teachers, resided in the upper tenement of the Bourn home, then on Trinity street, opposite Sabin street. He attended private and public school until twelve years of age, and, in September, 1847, entered the high school on Benefit street, and four years later entered Brown University. He attended the latter institution four years, 1851-55, was graduated with the degree of A. M., and at once joined his father in the rubber manufacturing business. The elder Bourn was senior of the firm, Bourn, Brown & Chaffee, but in his later years was a semi-invalid compelled to spend the winter months in Cuba, or in an equally tropical climate elsewhere. The son, Augustus O., took his place in the business so far as possible, during the winters of 1855-59, devoting his time especially to factory manufacturing details. After the death of the senior partner, Augustus O. succeeded to his interest and place in the firm. As Colonel Brown, one of the partners, went to the front as captain of the First Company, Light Artillery, of Providence, it was decided to incorporate to avoid complications which would arise in the event of Captain Brown's death. The Providence Rubber Company was therefore incorporated in 1861, as the successor of Bourn, Brown & Chaffee, and, before the expiration of the Goodyear patent in 1865, Mr. Bourn organized the National Rubber Company, and built a large plant in Bristol, Rhode Island. About January, 1868, the Providence Rubber Company consolidated with the National Rubber Company and moved their plant to Bristol. Mr. Bourn was treasurer and active manager of the National from 1865 until 1887, that company becoming the most important corporation of the town, nearly half the then population being employed at their plant. In 1894, after his return from Rome, Italy, Mr. Bourn again began rubber manufacturing in Providence, and in 1894 his interests and the old Providence Rubber Company were merged and re-organized as the Bourn Rubber Company, the firm becoming an incorporated body in 1902. Mr. Bourn is yet its capable treasurer and manager. 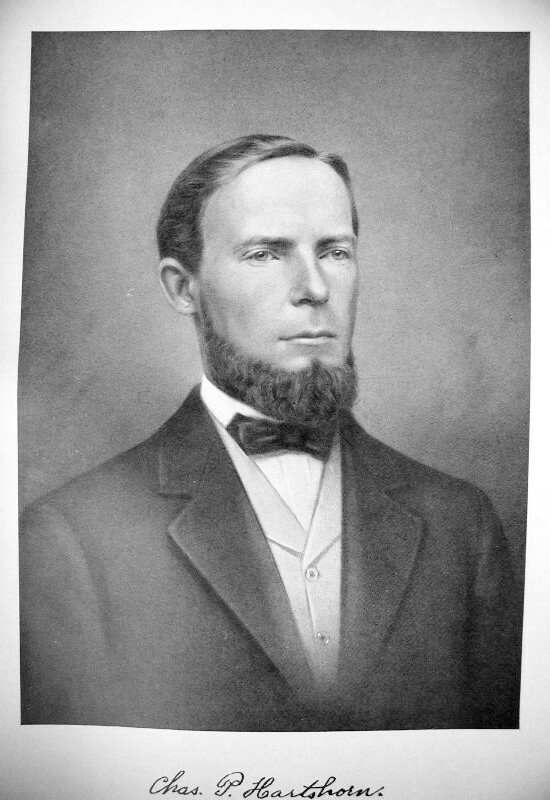 A Republican in politics, Mr. Bourn represented Bristol in the State Senate, 1876-83, and from 1886 to 1888. From 1877 to 1883 he was chairman of the committee on finance, and a member of the committee on the judicary. The constitution of Rhode Island, prior to 1888, limited the voting power of foreign-born citizens to those owning real estate. During the session of 1887-88, Senator Bourn introduced an act to amend the Constitution, and to grant foreign-born citizens equal franchise rights with native-born citizens. The amendment, as passed by the Legislature, was ratified by the people, and the 'Bourn' Amendment became a part of the organic law of the State. In 1883 Senator Bourn was nominated by the Republican State Convention for the office of governor, and was elected by a vote of 13,068 voted against 10,201 for his Democratic opponent. In 1884 he was re-elected by a vote of 15,036. From 1889 until 1893 he served as consul general to Italy, located at Rome, being appointed by President Harrison. At the close of his term he returned to his home in Bristol, and shortly after resumed rubber manufacturing in Providence. He is an ex-president of the New England Rubber Club of Boston, now the Rubber Association of America, a very large and influential association of which he is at present a director. To this association there has been entrusted, since the beginning of the present war by the Government of the United States and Great Britain, the distribution of all the rubber imported into the United States, as it was the only available, competent organized body in the country. The duty of the association has been to so supervise and oversee distribution of rubber among the different manufacturers as to make certain that no rubber can be used either directly or indirectly in a way that would benefit the enemy. The value of the rubber so distributed in 1917 amounted to over two hundred and thirty-six millions of dollars. He is a member of the University Club of Providence, and of numerous other societies and clubs; member of Brown Chapter of Phi Beta Kappa; What Cheer Lodge, Free and Accepted Masons; Providence Chapter, Royal Arch Masons; and Calvary Commandery, Knights Templar. Governor Bourn married, Feb. 26, 1863, Elizabeth Robarts Morrill, daughter of David C. and Mary Mansfield (Wentworth) Morrill, of Epping, N. H. Her Wentworth and Morrill ancestry traced to the earliest New England days, both being prominent in State and National affairs. Mr and Mrs. Bourn were the parents of three sons and two daughters: Augustus Osborn (2), born May 5, 1865, a graduate of Brown University, A. B., Harvard Law School, and Colombia University, Washington, D. C., L.L. B.; Stephen Wentworth, born April 5, 1877, a graduate of Brown University; Elizabeth R.; George Osborn, a twin brother of Elizabeth R., who died in Bristol, Feb., 1887; and Alice M. W. Mrs. 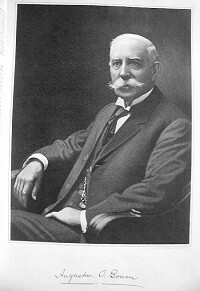 Governor Bourn died at the family residence in Bristol, R. I., Jan. 28, 1915.